One of the most useful new tools with the latest Windows Phone SDK is the Isolated Storage Explorer. It is a command line tool used for downloading and uploading the contents of an application’s Isolated Storage folders to either the Emulator or a Device. This is the third article about the new HubTile control from the latest release of Windows Phone Toolkit – August 2011 (7.1 SDK). This time I am going to talk about freezing and unfreezing tiles. It is a good practice, from performance point of view, to freeze the animation of your tiles whenever they are not visible. To show data to the user you have to load data and bind data – but which one is the slow part? Answer: It depends on the nature of your data and the complexity of your UI. This post will show you that data can be loaded on the UI thread or the background thread, and data can be bound all at once or a few items at a time. These data handling techniques can be used together to create one of the most important concepts in Windows Phone 7 – perceived performance. Full source with demo app showing the scenarios can be found at the bottom. Windows Phone OS 7.0, you could update your Live Tiles (but not create them) – but you had to do it via a push notification. In Windows Phone OS 7.1, this changes to allow you to not only update the Live Tile for your application, but your application can create multiple Live Tiles. Cosi funziona dopo l’installazione della Estensione CodeCitation. This is the second article about the new HubTile control from the latest release of Windows Phone Toolkit – August 2011 (7.1 SDK). This time I am going to talk about data binding and using HubTile in more complex scenarios. 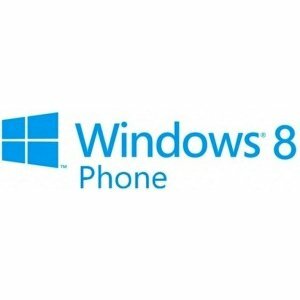 NOTE: In Part1 we talked about key properties, methods, events and the main features of the Windows Phone HubTile control. You can take a look at it for reference. 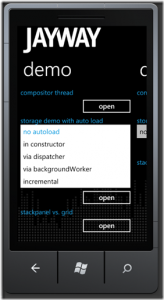 Recently a new version of the Windows Phone Toolkit was released: Windows Phone Toolkit – August 2011 (7.1 SDK) . 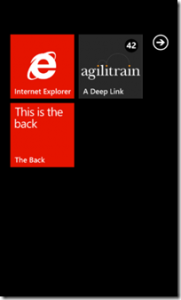 Previously we covered all toolkit components in our 21 WP7 Toolkit in Depth articles covering all controls so it is time to continue this series with a few more posts related to the new components that come with Windows Phone Toolkit – August 2011 (7.1 SDK) . We’ll start with two posts that cover all about the Windows Phone HubTile control in details. In Part1 I am going to talk about key properties, methods, events and the main features of the Windows Phone HubTile control. These instructions are assuming that you are using Visual Studio (with Windows Phone 7 Tools & C# as the language) to build your project. Please follow the instructions below to integrate mtiks library into your existing development project.